Every grant application will ask you for your mission statement. In today’s modern social media savvy-world, branding is everything and a mission statement should define and clarify who you are and what you want to accomplish. To be effective, it should be short enough to maintain interest, and long enough to ensure that the goals and focus of your nonprofit are clearly stated. A nonprofit mission statement is a one or two sentence description of the nonprofit’s goals and aspirations. According to Kimberly of GrantWriterTeam.com, a properly composed mission statement helps provide a nonprofit organization with a written, concrete identity. It says to interested parties (including potential funders), "this is who we are, and this is what we're trying to accomplish." Also, agencies sometimes "drift" from their original mission to satisfy immediate fund-raising needs. If there are ever any "gray areas" where an agency's mission is concerned, board members and senior staff can always refer back to the Mission Statement. The first time you probably needed a mission statement was when you incorporated your organization. When you find a grant application of interest to your nonprofit, you want to be grant ready! The mission statement written hastily by your CPA or attorney to obtain the 501c3 IRS status may not be the best description of your brand. Amending a mission statement can be a time consuming process within any organization. The executive board will most probably need to sign off on all changes and it may need to be amended on your corporate pages. Now is the time for your Board to review and revise your mission statement. This task will help your organizational leadership focus on serving its target audience and achievement of goals. 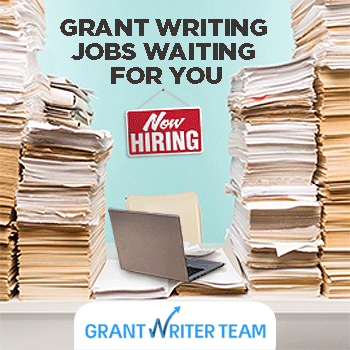 According to Nicole of GrantWriterTeam.com, Almost every grant application I've ever ever seen asks for a mission statement, but its importance goes beyond the realm of grant writing. A good mission statement will unite a board, motivate staff members, and attract individual donors. 5 steps to define your organization within its mission statement. Be clear about your target audience and your goals before you write them. Pique interest with a limited amount of words. Use words wisely and efficiently. The nonprofit mission statements run between 2 and 30 words. Use language that is easy to understand, memorable and very specific. Review to ensure that you have portrayed yourself as you want to be known. Keep these steps in mind when writing, reviewing and revising your mission statement. Remember, your nonprofit mission statement will be your brand and represents who you are. About the Author: Lianne is a SUNY Albany political science senior and a grant researcher at GrantWatch.com.